Did you know that studies show, first impressions take about 7 to 17 seconds to form and more than half of someone's opinion of you is determined by your looks? First impression is the not the last impression, but it is very true that it is rather difficult to change the first impression. Best example is the way we dress up and how we handle it which determines our personality. However, in this article will help you to get an idea how to dress up properly to look younger. Presented below are the reasons why you look older by dressing up mistakenly. You may choose some slim variant for your shoes although platforms are in demand. Thus, sometimes they are not a good choice for you if you have passed 30 years and 60 pounds. It is the way how you wear it! As a matter of fact, wearing scarf may be cool. If you wearing on the neck, you might connect your bag handles (in a contrasting color) or you can even turn it into a silk bracelet. Moreover, beware of the small brooches worn on the lapel. 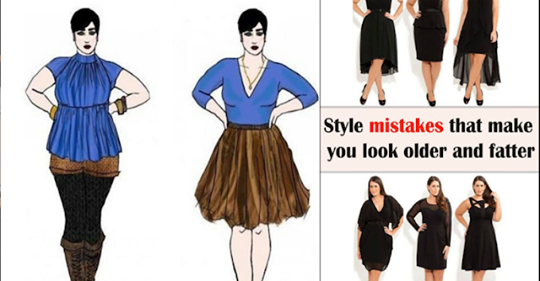 Wearing skirt is not about you are not conservative anymore! It is about how you wear it. If you find yourself comfortable with that, then go on! The mid-knee skirt suits you best louder than the clumsy one. Just be responsible only. The face of a person is the first thing to be noticed, especially the eyes. You can check on the fashion magazines and see some glasses models that fit your physiognomy. If you have to wear glasses, avoid buying the first pair of frames that comes your way. Not the price, which must be the first argument for choosing a frame, but the way you look while you wear glasses. Note: Don’t avoid bolder frames. Don’t hide your eyes! We wear clothes to fit on our body proportionally but to cover all over our body to the point the only your head is showing. Buying the wrong size of clothes is commonly happens. For example if want to buy wear classic jacket, don’t choose the size won’t fit you. Black is beautiful, and if wear black in some occasion you may look elegant. But if you wear it exaggerated it becomes unattractive when we get old, in result our skin tends to become whiter and wearing dark clothes and having black hair creates too much contrast. It could probably pay attention to the wrinkles, dark circles etc. Sweeten the black hair shade in some brown shade and you will get rid of at least 5 years. But if you really like the color black, it is advisable that you should wear a colorful accessory.